Professor and Chairman of Oral & Maxillofacial Surgery Department of Azerbaijan Medical University, Azerbaijan, Baku. 40 years of hands-on practice in Oral and Maxillofacial surgery, 37 years of scientific research and 25 years of teaching experience. Over 120 published scientific articles, of which 28 were added to PubMed. Have trained more than 10 PhD and 3 MDM young specialists. Advanced dental and maxilla-facial implantation for maxillo-facial prosthodontics. Belarusian State Medical University, Minsk Republic of BelarusIrina Pohodenko – Chudakova was born on 2.02.1968. In 1990 she graduated from the Dental Faculty of the Minsk State Medical Institute (nowadays Belorusian State Medical University). Irina Pohodenko – Chudakova is a Doctor of Medical Science, Professor, Head of the Department of Surgical Dentistry of the Belorusian State Medical University. She authored more than 730 scientific works (including 7 monographs, 17 patents, 30 rationalization proposals and 43 educational-methodological works). Under her guidance, 6 doctoral theses are currently being defended. Irina Pohodenko – Chudakova has been the recipient of honorary diplomas awarded by the Ministry of Health of the Republic of Belarus, the Ministry of Education of the Republic of Belarus, and the Rector of the Belarusian State Medical University. – Active Member of EACMFS, IAOMS, EAO. Defended Master’s thesis entitled “The correlation between the distribution of malignant cells and stoma with squamous cell carcinoma of the maxillofacial region and relapse,” in early 2010. Member of the Association of Surgeons of the Federation of Bosnia and Herzegovina. Oncology, Facial plastic surgery, Rhinoplasty, Reconstructive Surgery,Traumatology and Dental Implantology. Boyan Vladimirov is an Associate Professor at the Department of Maxillofacial Surgery, Medical University, Plovdiv, Bulgaria. He has graduated dentistry, medicine and had his maxillofacial surgical training at the Medical University Plovdiv. He did an ITI Scholarship at Holland Bloorview Kids Rehabilitation Hospital / University of Toronto, as well as a Fellowship in Head and Neck Oncologic and Reconstructive Surgery at the Regional Maxillofacial Unit, Queen Elizabeth University Hospital, Glasgow, UK. Prof Predrag Knezevic, MD, PhD, consultant maxillofacial surgeon, head and neck plastic surgeon, University Hospital “Dubrava”, School of Dental Medicine, University of Zagreb, Croatia. Secretary of Croatian Society of Maxillofacial, Plastic and Reconstructive Head and Neck Surgery. Clinical practice includes microvascular surgery and special interest in cleft surgery. Medical and Dental School of the Aristotle University of Thessaloniki. Training in OMFS at the “Papanikolaou” Hospital in Greece. Masters in Molecular Medicine by the CSMM. Numerous distinctions and awards, prominent of which was to be named Valedictorian twice. During the past decade, she has been practicing OMFS in Cyprus. Dr Patrick Jammet is a MD and maxillofacial surgeon since 1994.He studied at the university hospital of Montpellier and became the head of the maxillofacial’s team at the department of ORL and maxillofacial surgery in 2016. He is specialized in medicine and in aesthetic and plastic surgery of the face and the neck. He has been the president of the AFCF (French association of surgeon of the Face) from 2015 to 2017and organized a national congress in Montpellier and an european congress in Capri. He is now the president of the Justice expert company of Montpellier and will organize the next national congres in 2020. He is involved in a chapter at the French society of maxillofacial surgery and oral surgery. Special topic: Submandibular gland transfer for severe keratoconjunctivitis sicca. Head of Oral and Maxillofacial Surgery Department, General Hospital of Attica “ΚΑΤ”, Athens-Greece. Trained: “King’s College Hospital” London, “KAT” Hospital Athens, and Anticancer-Oncological Hospitals of Athens “Agios Savvas” (OMFS) and “Metaxas” (ENT). Publications: 56 Medline-listed papers and author of several chapters in scientific books. He is vice-Dean at the Dental Faculty and President of the Hungarian Association of Oral and Maxillofacial Surgeons. Professor and Head of the department of Oral and Maxillofacial Surgery, Rambam Health Care Campus and Faculty of Medicine, Technion, Haifa, Israel. Performed his fellow at the Cranio-Maxillofacial Surgery, Providence hospital, Southfield, Michigan USAMain interests – Maxillofacial deformities, cleft-palate surgery, facial trauma, facial bones reconstruction including patient-specific-implants, obstructive sleep apnea, distraction-osteogenesis and the influence of growth factors to improve osteogenesisProf. Rachmiel is among the pioneers in the development of distraction osteogenesis in both research and clinical cases. Prof. Adi Rachmiel published over 110 articles and various book chapters in the international literature. Degree in DDS and MD. Specialist in Maxillo-Facial Surgery. He was Head of the School of Plastic and Reconstructive Surgery at the University of Messina (2001/2004). 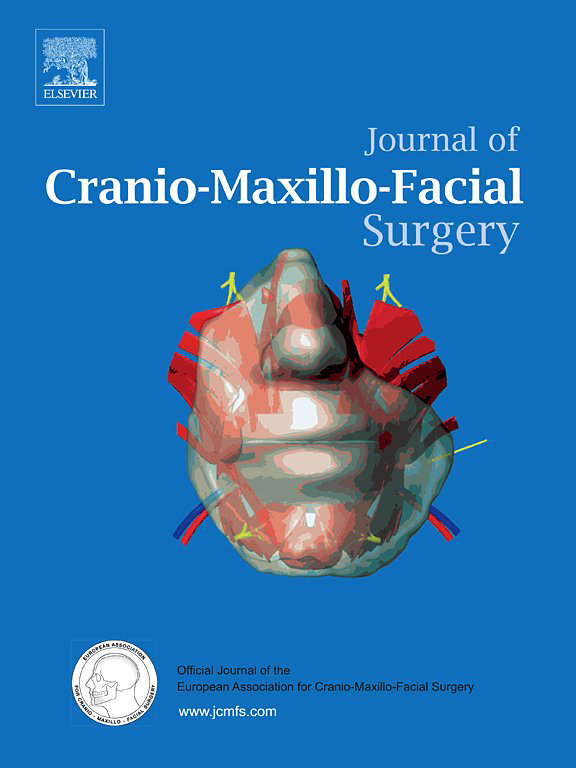 Full Professor of Maxillo-Facial Surgery , Head of the School of Maxillo-Facial Surgery and Head of Maxillo-Facial Surgery Unit at University Policlinic Hospital in Messina, Italy. Born on 01.09.1973 in Zagreb-Croatia. Interest in Head and Neck Reconstructive surgery, Cleft surgery. Professor Vladimir Popovski is Maxillofacial surgeon on the University Clinic for Maxillofacial Surgery, in Skopje, Macedonia. Formerly Head of the Clinic 2006-2008 and President of MAMFS 2004-2014. From 2007-2013 Director of the Skopje EACMFS Educational Trainee Center. Currently – President of BAMS, Councillor in EACMFS and President of the MDC. Secretary of Dutch Surgical College. Dr Zygmunt Stopa is Vice-Head of the Department of Oral and Maxillofacial Surgery and Associated Professor at the Medical University of Warsaw in Poland, where he studied medicine and later obtained his PhD. He is a regional specialist in Maxillofacial Surgery of the Mazovian Voivodeship. Dr Stopa runs research into TMJ surgery and endoscopic treatment of mandibular fractures. He regularly participates in national and international Congresses and co-organizes international EACMFS Training Courses and Workshops. Alexandre L. Ivanov, PhD is Head of Department of Pediatric Cranio-Maxillo-Facial Surgery in the Central Research Institute for Stomatology and Maxillofacial Surgery. He is EACMFS Councillor for Russian Federation, IAOMS Councillor for Russian Federation and Councillor of the Russian National Association of Maxillofacial Surgeons. His research interests include new methods of surgical treatment, congenital pathology, bone pathology, craniofacial surgery, 3D modeling preparation for surgical treatment. Dr. Ladislav Czakó, MD, PhD, MPH. maxillofacial surgery (2011). PHD from oral oncology (2007). prognostic and predictive markers of oral cancer. prim. Vojko Didanovič, MD was born 1965 in Maribor, Slovenia. He finished Medical faculty in Ljubljana, Slovenija in 1990. He is bord certified maxillofacial and ENT surgeon, currently employed at Clinical department for Maxillofacial and Oral Surgery, at University Clinical Center Ljubljana, Slovenia. He has been councillor for Slovenia at the EACMFS since 2014. His main fields of interest and work are diagnostics, oncologic ablative and reconstructive surgery in the head and neck region, as well as treatment of soft tissue and skeletal injuries of the head and neck, surgical and prosthetic correction of acquired and inborn head and neck, oral cavity, and maxillary deformities, surgery of lateral and frontal skull base, endoscopic surgery, ultrasound of the neck and surgical treatment of snoring & obstructive sleep apnea syndrom. He is also interested in 3D planning of reconstructive and corrective procedures, dental and prosthetic rehabilitation of patients with vast facial deformities, defects or atrophies in the mandibulo-maxillar region. Oral and Maxillofacial Surgeon. PHEBOMFS since 1996 . Medicine and Dentistry studies at the University of Cologne (GER), University College London (UK), Cornell, New York (USA), Johns Hopkins, Baltimore (USA) and Poznan (PL).He received his doctorate from the Center of Molecular Medicine Cologne (CMMC), where he was directly involved in several successful gene identifications for syndromic forms of craniosynostosis.His general Maxillofacial Surgery training was undertaken at the University Hospital of Cologne, Germany followed by a Cleft, Lip and Palate Surgery Fellowship in Bangalore, India. As the current Leibinger Award winner (EACMFS), Dr. Rachwalski is working as a Fellow in Craniofacial Surgery at Hôpital Universitaire Necker-Enfants Malades and as a Research Associate at Imagine Institute of Genetic Diseases in Paris, France.His research interests include: molecular-based therapies for craniofacial anomalies on mouse models and clinical outcome studies for craniosynostosis and cleft lip and palate.